Coalition Technologies is excited to announce our newest Employees of the Month for March: Colin Fox and Kanika Khanna! Colin and Kanika have both been an integral part of our projects and have greatly contributed to our client campaigns’ success. Take a closer look at what they do to make Coalition great! 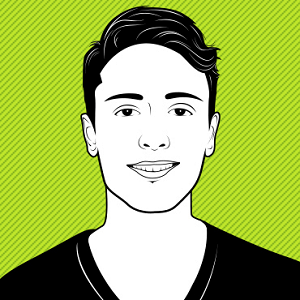 Colin started at Coalition Technologies as a Digital Producer in August of 2016. He manages a variety of client projects, from content development and SEO strategies to eCommerce expansions and lead generation. Colin has worked with clients across many different industries including fashion, payment gateways, restaurant supply, and industrial materials. He’s managed to create a web presence for his clients, increasing their rankings to achieve first page results. Colin loves witnessing the positive results his hard work has generated, and he truly enjoys when clients see an improvement in their performance and rankings. He looks forward to every time he is able to inform a client of progress in their campaign. While Colin is passionate about his work with Coalition, he also loves being outdoors as much as possible. Hiking, camping, and general adventuring are always on the menu after work and on the weekends. Currently, his favorite area to explore is the Los Padres National Forest. Kanika is celebrating a great year with Coalition this month! She started as an SEO Tech, but in less than a year, her hard work and dedication earned her a promotion to SEO Team Lead. She manages many of our digital marketing clients and keeps her team working hard on their behalf. Kanika has helped develop strategies for many clients across very diverse industries — from large eCommerce clients and financial service companies to medical practices and jewelers. Kanika’s work for these clients consistently shows an increase in organic traffic and revenue and many of our clients praise her commitment to their projects. 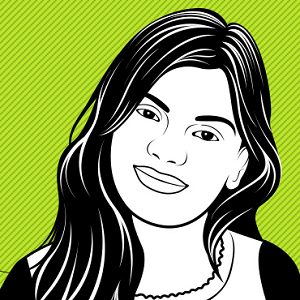 Kanika loves working with Coalition, especially since she gets to work from home. Being able to work full time and take care of her daughter is one of her favorite things about Coalition. She also feels that her colleagues always appreciate the work she performs and that management notices even her smallest achievements. In her free time, Kanika loves to read — she would read a book a day if she could! She also channels her creativity into a small blog that discusses new technologies and interesting gadgets called Wat A Gadget. Coalition Technologies is always proud of the work our team members put into making our company great. Check back next month for more team members who are being celebrated as Employees of the Month!